Lactose, (milk sugar) is a disaccharide formed from galactose and glucose. Its beta-galactosidic bond must be hydrolyzed to yield its component monosaccharides before they can be absorbed by the body. In humans, the enzyme lactase performs this task. Many individuals lose the ability produce lactase, and therefore “lactose intolarent” after they enter their teens. As a result, they suffer GI upset when they consume milk products (gas, abdominal pain, diarrhea). Lactase tablets may reduce this problem. We will be assaying the lactase content in commercial tablets, and use this enzyme as a typical enzyme in our subsequent studies. The substrate used in the assay of this enzyme is o-nitrophenyl–D galactoside (ONPG), which, upon hydrolysis of the -galactosidic bond, yields galactose and o-nitrophenol, a yellow compound (absorption max = 450 nm) ( CRC Handbook: #p679, Merck Index, #6541). Enzyme activity is proportional to the increase in A 450 during incubation. As in many enzyme assays, adjustments in concentrations and volumes may be needed for optimum results. Keep careful track of how you set up your experiment. This is often best accomplished by diagramming the procedure . 1. a: Record the brand of lactase, labeled number of units of lactase/tablet and the expiration date. b: Weigh one lactase tablet, note whether 9,000 FCC or 3,000 FCC units/tablet. c: Grind in a mortar and pestle until finely ground. d: Suspend/dissolve to 100 units/mL: Grind a tablet in about 5 mL of chilled 0.01 M PO4 buffer, pH 7. For 9,000 unit tabs, q.s. to 90 mL with same buffer, including mortar and pestle rinses. e: Dilute 1:200: Add 0.1 mL of enzyme suspension into 19.9 mL 0.01 M PO4, pH 5.5, in a 25 mL grad cylinder. Most enzymes should be kept on ice until ready to use, this may not be necessary for lactase. 3. a. Copy the following table into your notebook. b. Then set up a series of numbered 13×100 mm test tubes as follows. 4. Vortex and pre-warm these tubes in a 37 C hot block for two minutes. 5. At 30 second intervals, add listed uL of enzyme, vortex, start a stopwatch with 1st tube, place in 37 C hot block. 6. After exactly 15 minutes, add 1.0 mL 4% K2 CO3 down the side of the first tube, mix and remove from hot block. 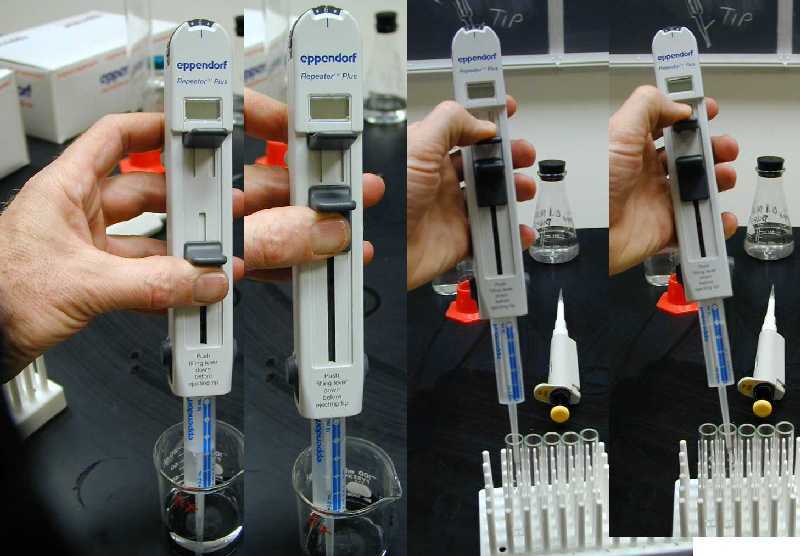 At 30 second intervals, repeat 4% K2 CO3 addition for each of the successive tubes, mix and set aside. 7. Read the absorbency at 450 nm, record in your notebook table, graph and discuss results. 8. Calculate the number of units of lactase (1.000 OD unit/15 min) in the original tablet. (See following protocol). Compare with other brands of lactase. dissolve in 200 mL H 2O, check pH, adjust to 7.0 if nec. with either H 3PO4 or NaOH. Store at 4C. Q.s. 50 mL of pH 7.0 0.1 M PO 4 buffer to 500 mL with dH 2O. 4% K 2CO3 : dissolve 8 g K 2CO3 in 200 mL dH2 O, stir to dissolve. Matthias Schleiden 1838, German botanist, concluded all plant tissues composed of cells, and embryonic plant arose from a single cell. Rudolf Virchow 1855, Ger Physiol, concluded cells arose only by division of preexisting cells: Omnis cellula e cellula. 3) cells arise only from preexisting cells. We will repeat some of these classical studies by preparing and examining a variety of plant and animal tissues to search for evidence of their cellular composition. Remember to strictly follow correct protocol for microscope use. 1. CORK: Repeat the experiment of Robert Hooke: First slice off a “good clear piece of cork” with a single-edged razor blade to produce a smooth, clean surface. Then shave a wedge of cork as thin as possible from the clean surface. Examine the thinnest edge of the slice under the microscope, and illustrate its structure seen at 400x. What exactly are you seeing? 2. 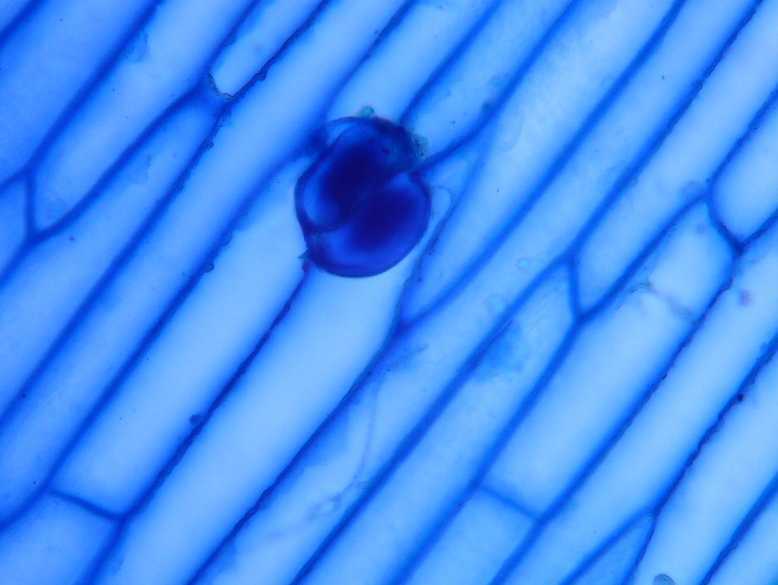 ONION EPITHELIUM: Prepare a slide with three spots: 1) dry, 2) drop of water, 3) drop of methylene blue. Slice a wedge from a fresh onion and discard the outer layer or two. Separate a fresh layer and break it back to the membranous outer layer of epithelium. Peel off epithelium with forceps, cut into three small pieces, apply one to each of the three prepared spots on the slide (keep flat). Cover with cover slips. Write out your observations of each: 1) dry mount, 2) wet mount with water, 3) wet mount with methylene blue. Which mounting technique resolved the most detail? Illustrate any evidence of stained cells seen at 100x and 400x (on the same page). Label: plasma membrane, nucleus, nucleolus, and cytoplasm. Search for stomata, especially in outer epithelium. Here is a stoma stained. Onion Epithelium stained. Note the nuclei apparent in many of the cells. Chicken Cartilage stained. 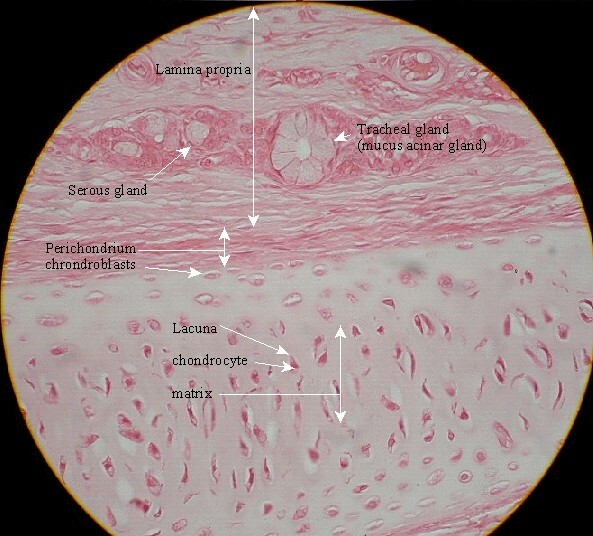 Chondrocytes are embedded in a matrix which does not take the stain as well as the cells. HYALINE CARTILAGE, PREPARED SLIDE: Examine hyaline cartilage as seen in the prepared slide (H 680) from a cross section of the trachea. Compare with the section you prepared in 3, illustrate at 400x. Label: matrix, lacunae and chondrocytes. 5. 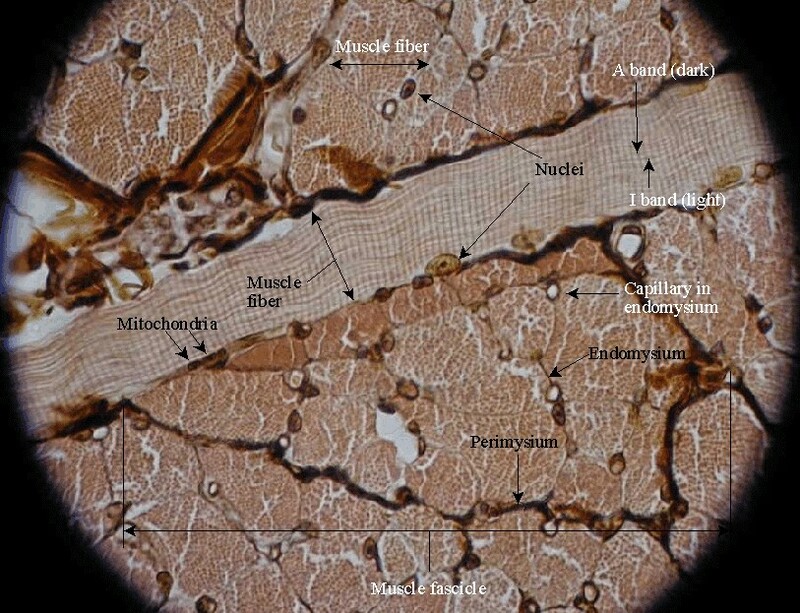 CHICKEN MUSCLE: For a contrasting tissue, cut a very thin section of muscle, suspend in stain, squash under a cover slip. Note muscle fibers at 100x, striations at 400x. The greenish oblong features running along and above the muscle fiber are mitochondria. Here is a prepared slide of skeletal muscle labeled. The substrate used in the assay of this enzyme is o-nitrophenyl–D galactoside (ONPG), which, upon hydrolysis of the -galactosidic bond, yields galactose and o-nitrophenol, a yellow compound (absorption max = 450 nm) ( CRC Handbook: #p679, Merck Index, #6541). Enzyme activity is proportional to the increase in A450 during incubation. dissolve in about 80 mL 0.01 M PO4 buffer, pH 7.0 with swirling and slight warming. q.s. with buffer to 100.0 mL. This reagent is unstable over periods of weeks at 4 C. Aliquots may be frozen to stabllize during storage. Illustrate these disarticulated bones and include the listed features with labels (handle with care and respect please, they are real & fragile). 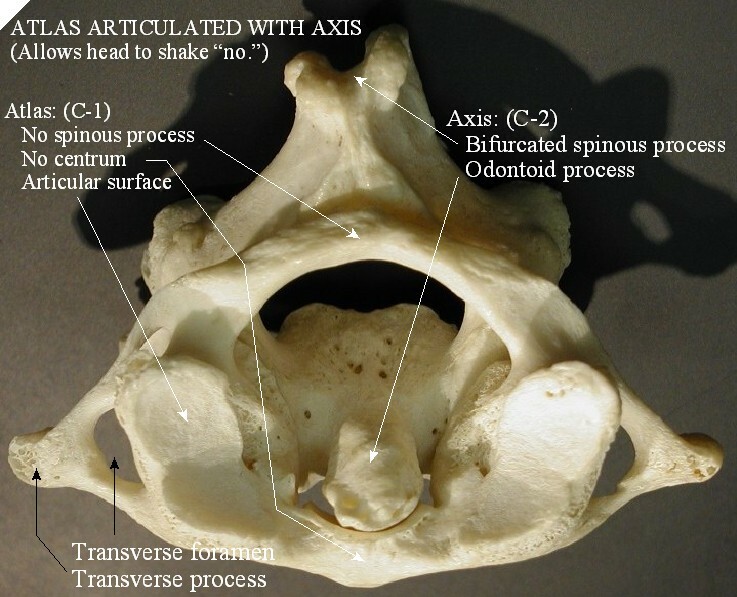 Here is a labeled view of articulated C-1 and C-2. 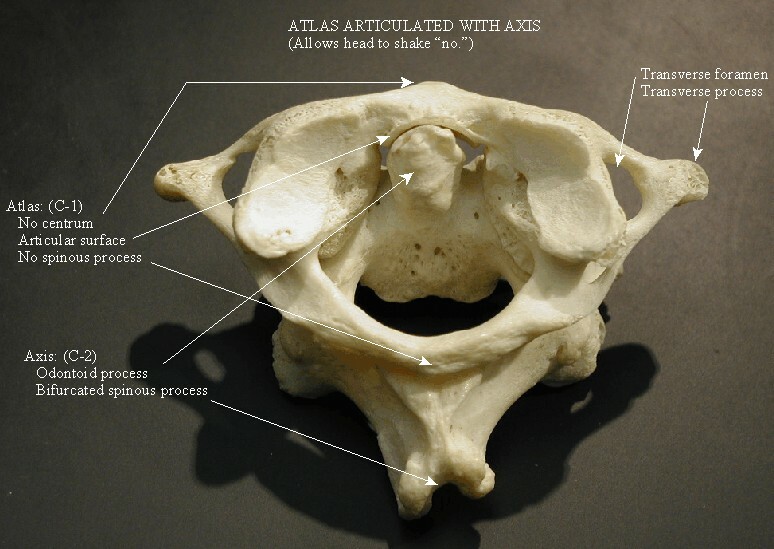 Here is a labeled view of atlas and axis with spinous process at top. 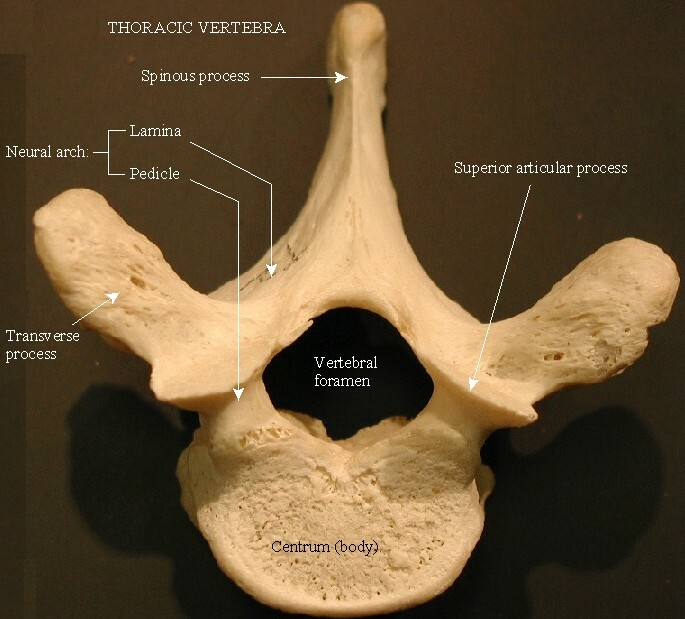 Here is a labeled view of a thoracic vertebra. 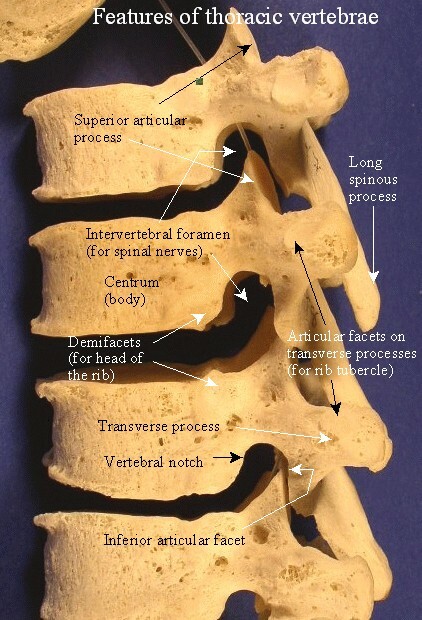 Here is a labeled side view of articulated thoracic vertebrae. 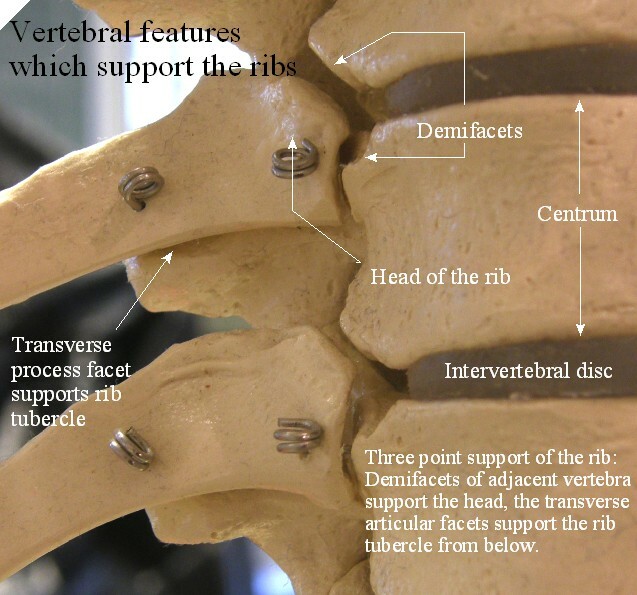 Here is a labeled picture of the articulation of ribs with vetebra. 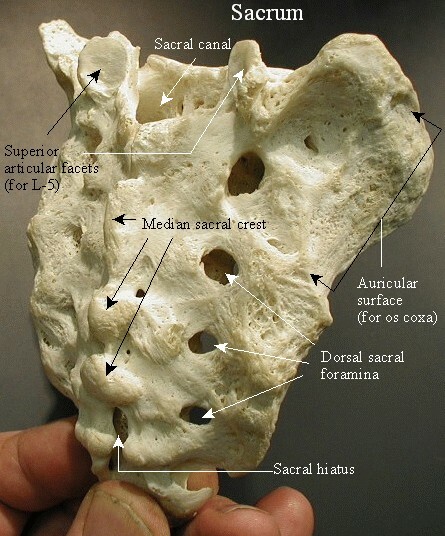 Sacrum:(posterior view): dorsal sacral foramina, superior articular facet, auricular surface (on sides, for os coxa), (ala), median sacral crest, sacral canal, sacral hiatus. 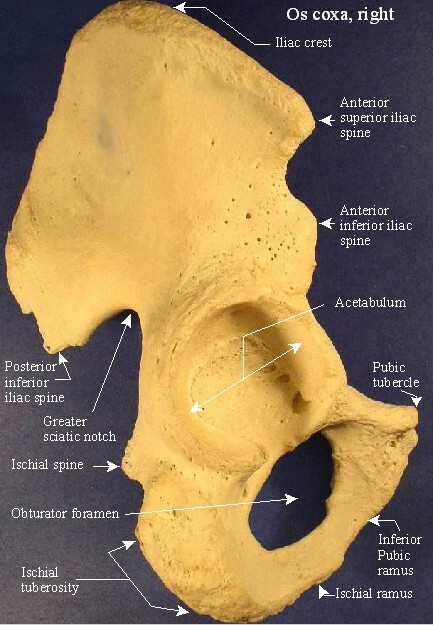 Here is a labeled view of the sacrum. 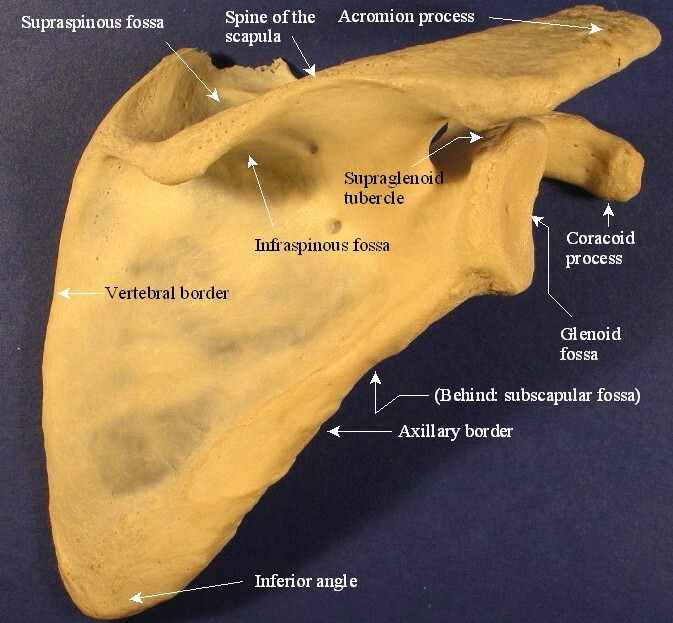 Here is a labeled image of the posterior scapula. 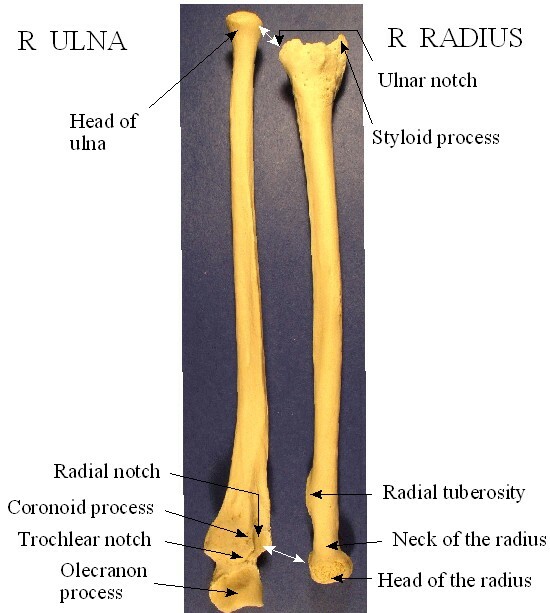 Here is a labled view of the right ulna and radius. 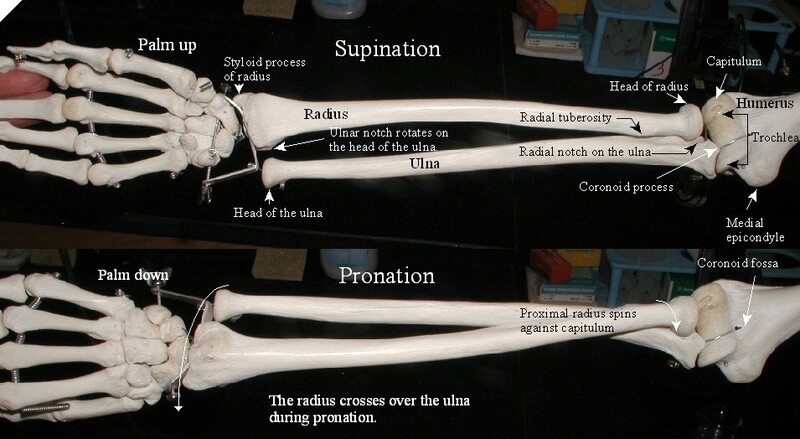 Here is a labeled view of supination and pronation. first through fifth metacarpals, proximal, middle and distal phalanges. 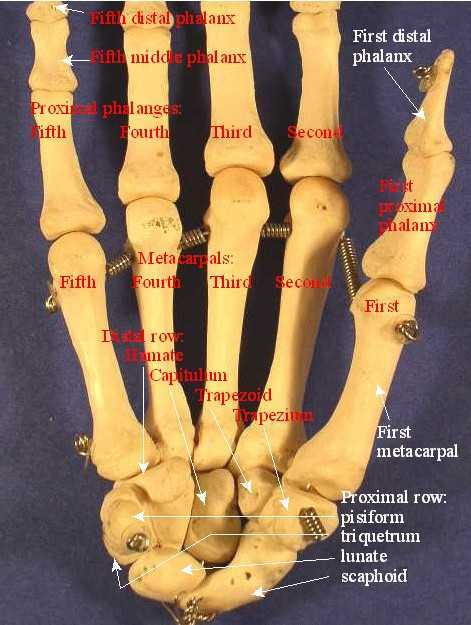 Here is a labeled view of the bones of the hand. 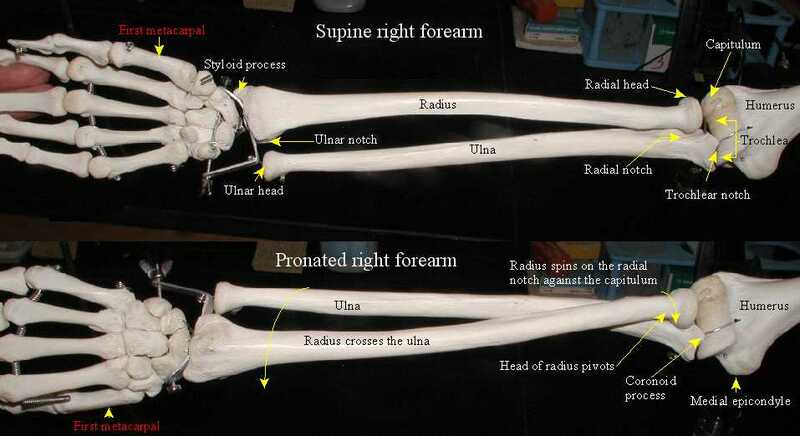 Here is another labeled view of the right forearm before and after pronation. Here is a collage of chicken femur pictures for you to label. 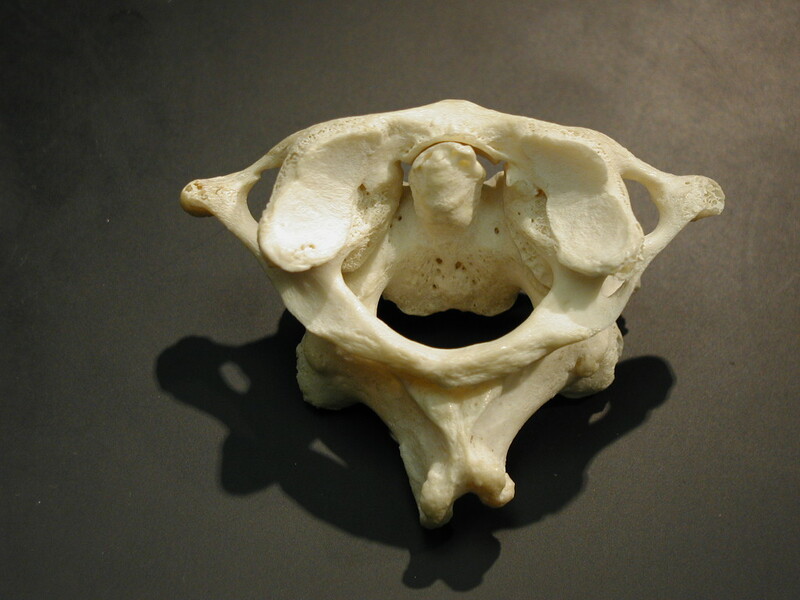 Here is a labeled lateral view of the right os coxa. 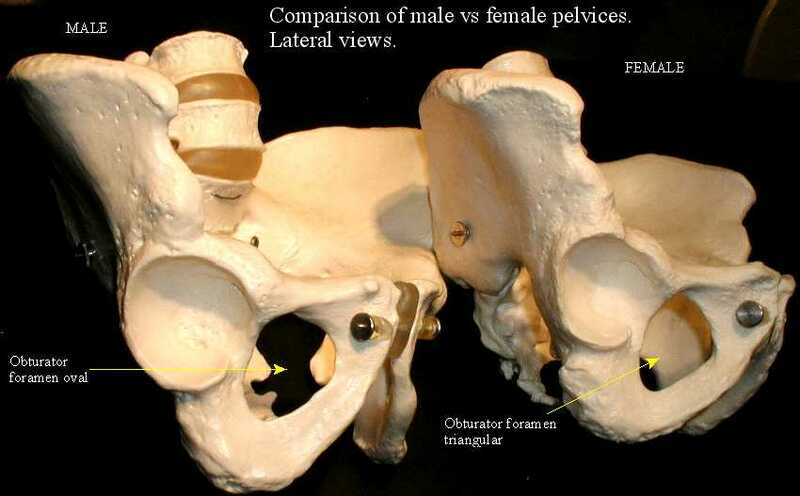 Here is a labeled view of male versus female pelvices. 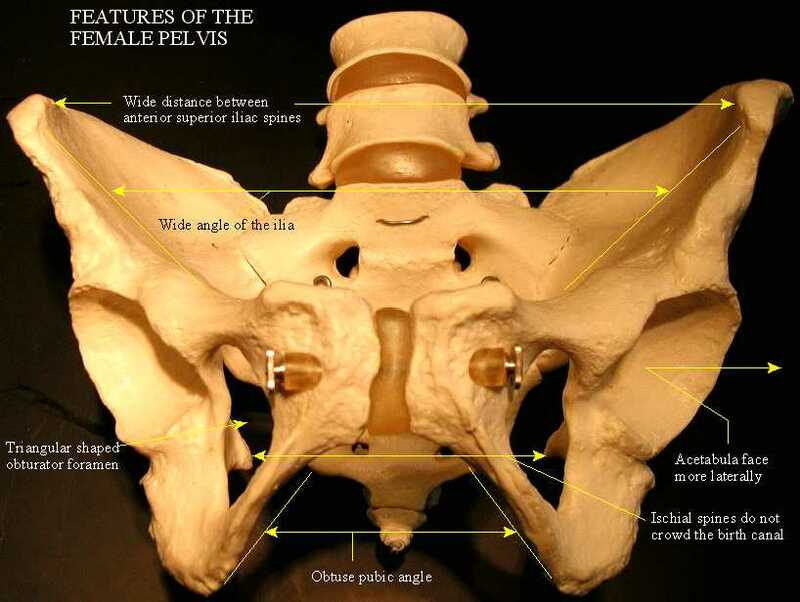 Here is a labeled view of the female pelvis. 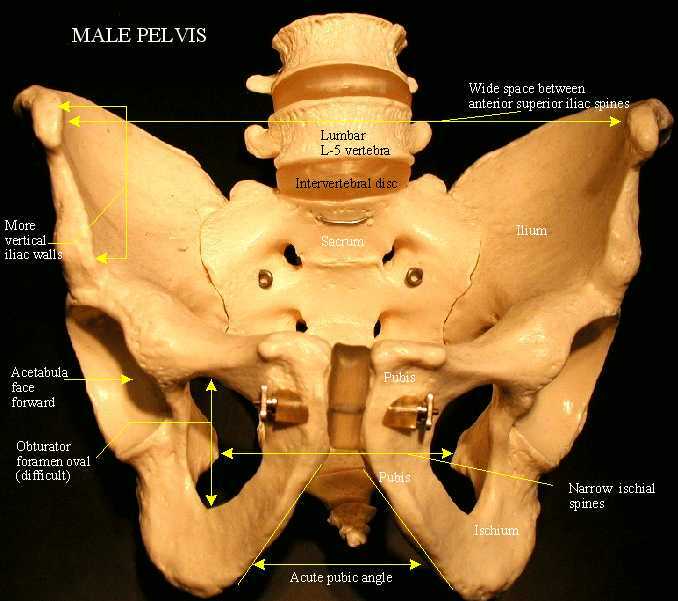 Here is a labeled view of the male pelvis. Here is a labeled view of the bones of the right foot.